ANN ARBOR–In an advance that makes a more flexible, inexpensive type of solar cell commercially viable, University of Michigan researchers have demonstrated organic solar cells that can achieve 15 percent efficiency. Organic solar cells incorporate carbon into their construction to offer several advantages over conventional "inorganic" cells. Silicon-based inorganic solar panels are costly to make–composed of thick, rigid sheets that require fixed installation points. First, they designed a system that combines specialized layers to absorb both visible and infrared light. 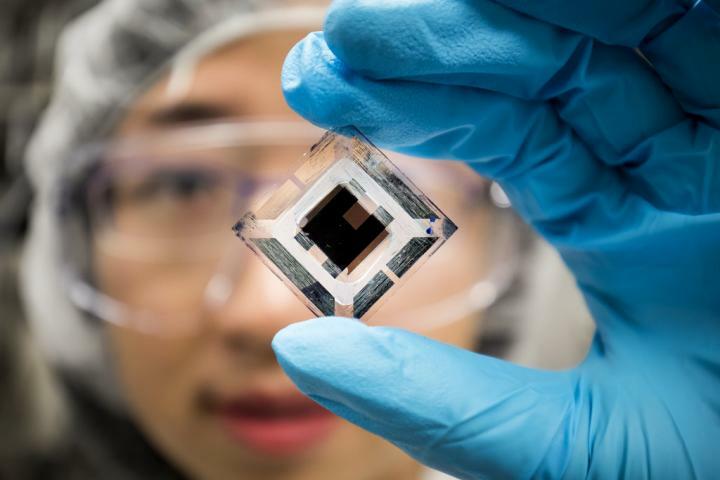 Essentially they stacked two organic solar cells–one capable of absorbing light from the visible spectrum starting at 350 nanometers in wavelength, and another capable of absorbing near-infrared light up to 950 nanometers in wavelength.